What usually comes to mind when we think of the holiday season? Spending time with loved ones, festive decorations, tasty treats and of course shopping for gifts! What we don’t think about (but should be aware of) is the increase in burglary during this time of year. A recent study done by the FBI finds that nearly 400,000 burglaries occur in the U.S. during November and December each year. Burglars are looking for easy opportunities and the holidays provide just that, since many people have travel plans and homes are filled with expensive new gifts. So what makes one house more desirable to hit than another? Consider these indicators that burglars use to identify an opportunity and follow these tips from your Seattle Locksmiths to protect your home this holiday season. The holiday season is almost in full swing, which means your schedule gets a little busier with parties to host or attend, gifts to purchase and trips to go on. All the extra fun and excitement can make us a little more careless and vulnerable. A study shows that there is a spike in crime during the holiday season as more people are traveling to see family, leaving an empty home full of gifts. Here at Accurate Safe & Lock, one of our top priorities is keeping what you find important safe. Our Seattle locksmith experts have some tips to follow in order to keep your family and valuables safe this holiday season. On average 34% of Americans spend 1-3 nights away from home during the holidays. Make sure to take extra precautions to make it seem like you are home even though you’re not physically there. This can deter burglars from going after your valuables. Put indoor and outdoor lights on a timer, so they turn on at around the time you would be home. Lock away your valuables so you know for certain they are safe. 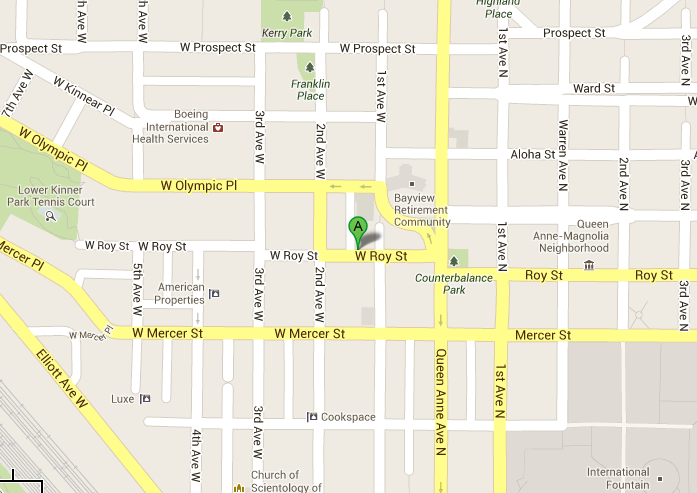 Our Seattle locksmiths can help you find the right one at Accurate Safe and Lock. Stop mail and newspapers from arriving. Call your post office and have them hold any mail or packages. The buildup of mail and newspaper is a dead giveaway to burglars that no one is actually home. Upgrade your door locks. Install deadbolts, drop bolts or keypad locks to your doors for an extra measure of security. Sure, you may not be gone for days, but even a short shopping trip or errand run leaves you home vulnerable. Be extra cautious about locking doors and windows. Make sure to double check that entrances into your home are locked and secured. Leave a radio or television on to create the illusion that someone is home. This is especially useful, as the days get darker earlier. When you get home make sure that holiday displays and gifts are not visible through windows and doors. Burglars are able to see what valuables you have, making your home a target. This season is always a busy time of year. Make sure to keep your safety as a top priority by following our Seattle locksmith expert’s tips. Your holidays will be fun, festive and stress free. Now that school is back in full swing, the house is a lot more quiet during the hours of 10am and 3pm, which just happens to be the time frame that most residential burglaries occur. Even with top-of-the-line door hardware, alarm systems and lock sets, criminals are finding ways around these security measures and breaking an entry. Not only is this invasion of privacy emotionally distressing – it can result in your most treasured possessions disappearing. We’ve heard stories of break-ins starting with the homeowner’s car. Robbers break into the cars with visible garage openers parked in at an event, or public lot, and search through the dashboard to find the registration with the homeowner’s home address clearly listed on it. They hi-jack the vehicle, drive to the house, then use the garage opener to get inside. You never know what they may be able to get their hands on in case something like this happens. It’s best to be prepared, and securely lock up your most precious valuables in hidden safes. 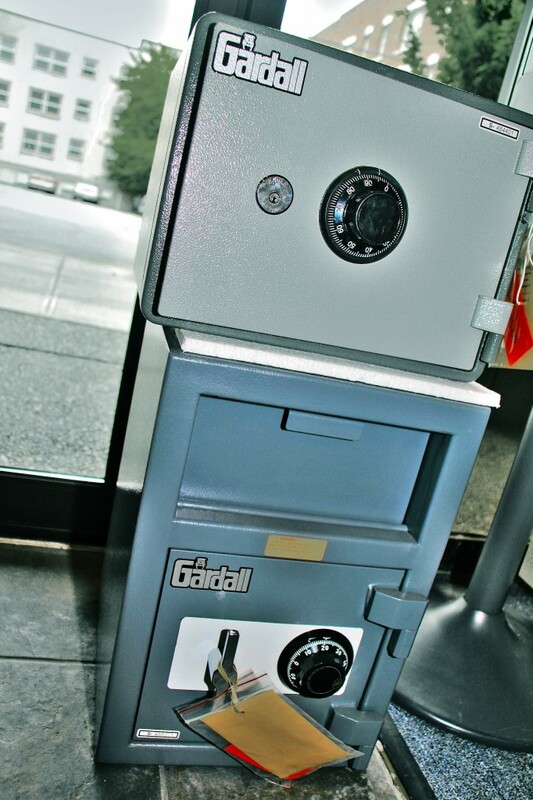 Accurate Safe & Lock offers a variety of quality new and used safes in a wide range of sizes. Click here to view our extensive list of services and products. If you’re not sure what you need, call 206-284-0151or stop by and we will help you find the perfect safe to protect your valuables. On averag e, in the United States, a burglary happens every 14.16 seconds, with an average property loss of $2,079. It is important to keep your home protected, and understanding how burglars think and operate can help you be more safe. Take a look below, and also consider consulting a Seattle emergency locksmith for ways to better protect yourself from burglaries. Burglars don’t like dogs (big or small). A dog, or signs that indicate a dog is home, is a large deterrent for burglars. When a burglar sees a leash, beware of dog sign, or even hears a dog barking, they usually go running. 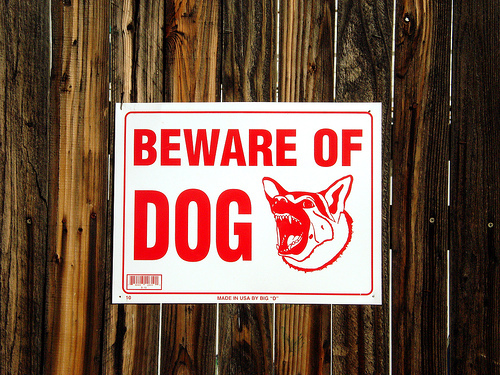 Consider posting a beware of dog sign to help deter burglars.